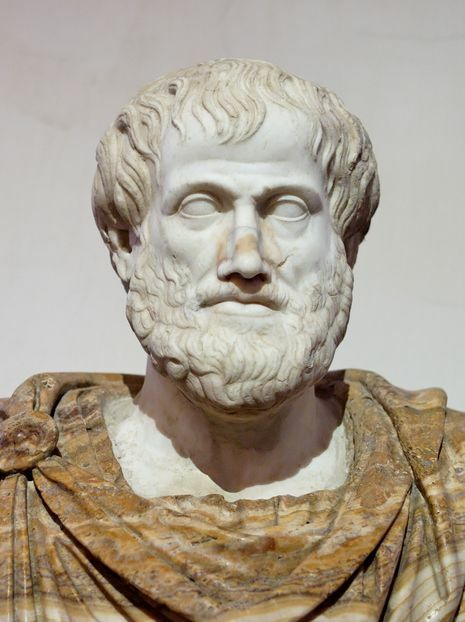 Aristotle (Greek: Ἀριστοτέλης, Aristotélēs) (384 BC – 322 BC) was a Greek philosopher, a student of Plato and teacher of Alexander the Great. His writings cover many subjects, including physics, metaphysics, poetry, theater, music, logic, rhetoric, politics, government, ethics, biology, and zoology. Together with Plato and Socrates (Plato's teacher), Aristotle is one of the most important founding figures in Western philosophy. Aristotle's writings constitute a first at creating a comprehensive system of Western philosophy, encompassing morality and aesthetics, logic and science, politics and metaphysics. Aristotle's views on the physical sciences profoundly shaped medieval scholarship, and their influence extended well into the Renaissance, although they were ultimately replaced by Newtonian physics. In the biological sciences, some of his observations were confirmed to be accurate only in the nineteenth century. His works contain the earliest known formal study of logic, which was incorporated in the late nineteenth century into modern formal logic. In metaphysics, Aristotelianism had a profound influence on philosophical and theological thinking in the Islamic and Jewish traditions in the Middle Ages, and it continues to influence Christian theology, especially Eastern Orthodox theology, and the scholastic tradition of the Catholic Church. His ethics, though always influential, gained renewed interest with the modern advent of virtue ethics. All aspects of Aristotle's philosophy continue to be the object of active academic study today. Though Aristotle wrote many elegant treatises and dialogues (Cicero described his literary style as "a river of gold"), it is thought that the majority of his writings are now lost and only about one-third of the original works have survived.